You’re sitting at your computer (or potentially on your phone) whilst reading this article. Maybe later you’ll pop onto Youtube to check out your favorite content creators, only to be blocked off by the latest trailer for another King Kong remake. You watch it, you skip it, you forget it. It didn’t onboard you with the product well enough, so you won’t bother with the rest of the experience. There’s no apparent value to be had. User onboarding is a tough nut to crack. Not only do you have to make sure that your users understand how to use your product with as little friction as possible, but you need to do so in such a way that the value of the product is crystal clear. If it’s boring, shows little value or item of interest, you’re gone. On the other hand, the best user onboarding experiences cater to their users and product; they turn a potentially dull and frustrating tutorial into an engaging demonstration of what an app can do, and why the audience should continue to use it. In much the same way, there are some killer onboarding lessons to be learnt from the successes (and failures) of movie trailers, and it all comes down to technique. After all, if a trailer can’t hook your attention and ferry you through to a purchase, it hasn’t done its job correctly. When meeting someone for the first time, you have roughly a seven second window to form a first impression. During this period there are several methods you can employ to ensure that the impression you make is positive; shaking hands, smiling, etc. In the world of software onboarding, we don’t even have that luxury. How, then, can you craft your audience’s first impression without any human interaction? Both trailers and the onboarding process serve as the first significant interaction between your audience and your product - this is your window of opportunity. This is a product’s chance to stick out from the crowd and carve out a space in the memory of those who get a taste of the experience to come. For example, let’s take a look at a classic action film which, by every right, should have an awful trailer; Die Hard. We all know that the product is great, but how did the trailer stand out from every other voice-over action flick at the time (and many since)? It’s simple; it had personality beyond the tired cliches. The trailer didn’t present itself as the end-all serious movie that you had to see - it showed a sarcastic wisecracker who was caught up in an elaborate hostage situation. The first impression that you get is of a family man who wants nothing to do with the typical action hero agenda; this makes it interesting to the viewer, and gives a nice taste of what was to come. In a similar manner, during user onboarding you need to make sure that the personality of your product shines through from the moment a user clicks on your page. Any old product can say “enter your email address,” but they’ll remember the one which takes the time to roll out the red carpet and give a friendly wave. Slack is a brilliant example of onboarding with personality. Rather than have a standard tutorial of how to send messages, invite team members and more, you’re given a charming little robot to talk to and chat things out. This sets a friendly, welcoming tone to Slack without ever requiring the user to talk to a human being. At no point does it get boring, because that charming personality shines through and encourages us to ask questions of Slackbot. The more time you take to convey what the product is and what it will do, the more users will tune out and lose interest. You need to strike while the iron’s hot, and portray the bigger picture accurately. How do trailers tie into this? Well, Wistia has shown that the sweet spot for the length of a video (after which users begin to quickly lose interest and leave) is two minutes. The average length of a movie trailer? Between two and two and a half minutes long. In fact, they follow this rule so stringently that trailers over 150 seconds are largely prohibited and theater owners have even called for a 2 minute limit per trailer in the past. Essentially, the more time you spend demonstrating your product, the more people will get bored and churn out. At the same time, being brief shouldn’t mean that you sacrifice accuracy. Take, for example, the theatrical trailer for Alien. Does it accurately portray the product? Certainly; Alien was (and still is) a fantastic horror film, and the trailer creates the same tense, claustrophobic atmosphere that permeates the rest of the experience. Not only that, but it doesn’t outstay its welcome. Bearing in mind Wistia’s findings, Alien’s trailer manages to portray the product faithfully while clocking in at only two minutes. This means that the audience is shown exactly what the product is going to deliver, while staying short enough to keep the majority of the audience’s attention. Now, compare that to the trailer for Ambiancé - the longest film ever made. Whilst you could argue that it does, indeed, efficiently portray the final product (which will have a runtime of roughly 30 days), 7 hours and 20 minutes is far too long for the audience to keep their interest. Heck, even the thought of it is enough to turn people away, as they will instantly judge that they do not have the time to spare for the return they will receive from the product. In much the same way, when onboarding your users you need to set the tone of the product quickly. The quicker you bring your user up to speed with what’s in store, the more likely they are to stick with you and sink their money (and time) into your product. 40-60% of your users won’t log in for a second time, so you already have a time limit. The level of friction in your first-time use, along with the speed at which you demonstrate the value you’ve promised, will directly influence how many users come back for more. Let’s take a look at how Facebook does it - with 1.71 billion monthly active users, one would expect a hell of an onboarding process to get them up to speed and hooked. Well, to start, you go to their home page, enter some of your details whilst seeing that “Facebook helps you connect and share with the people in your life”. Once you’ve entered your info, you’re taken to the start of your onboarding experience, only to find that it’s a mere four steps long, and all on the same page. Not only are you shown what your main page and chat window will look like almost immediately, but the four setup steps take next to no time to complete; you’re taken straight into the product and hooked on the main mechanic - interaction with your friends. The speed is vital - any user who logs out before being hooked typically has half a chance (40-60%) of never coming back. Not only that, but you need to accurately portray the product by boiling it down to its bare bones; if it isn’t valuable to know or immediately useful, chances are that it shouldn’t be included in the onboarding process. As the first point of contact between your audience and your product, you want to make sure that the value of your item is immediately apparent. This proves to the audience that further investment of their resources (be it time or money) will have a worthwhile payoff, causing them to stick around and take things further. The majority of trailers follow along much the same vein. Whilst there is a debate as to how much of the payoff you should show in the trailer (spoiling huge plot points to draw your audience in), in general the value of the movie will be conveyed within the short time the trailer has to run. Case in point; Jurassic World. Although the finished product was far from perfect, the trailer demonstrated perfectly what the value of the product was going to be. The audience was treated to a reboot of a beloved franchise which, though imperfect, served to amuse and entertain. This is demonstrated by the fact that half of the trailer is both building up to, and showing off, the revamped park. Rather than selling you on the weakest part of the final product (the new additions), it promised a hit of nostalgia and some mindless fun watching Andy Dwyer take his velociraptors for a bike ride. Keeping that in mind, let’s turn to a bad example of setting expectations; the 2014 version of Godzilla. Not only were audiences fooled into thinking that Bryan Cranston would take a leading role (when his character is axed off at the end of the first act), but the titular lizard appears for a grand total of 8-10 minutes in the entire film. What effect did this have on the final earnings though? Well, despite the fact that critics enjoyed Godzilla more, audiences rank Jurassic Park higher by 12%. Couple this with knowing that Jurassic Park made more than triple the worldwide revenue that Godzilla did (despite being released a year later), and you have one ticked off audience who were promised value which they didn’t receive. This practice of knowing exactly what value your product gives and conveying it as quickly as possible can be deemed the “Aha!” moment in user onboarding. 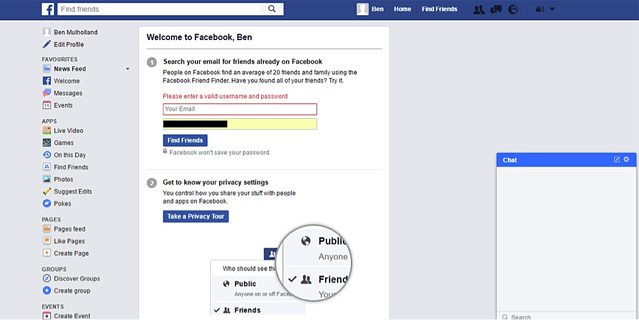 Facebook observed that users were likely to stick with the product if they made 7 friends within 10 days, hence why two of the four steps in their onboarding process are all about adding your friends to your account. In a similar manner, Dropbox realised that their Aha! 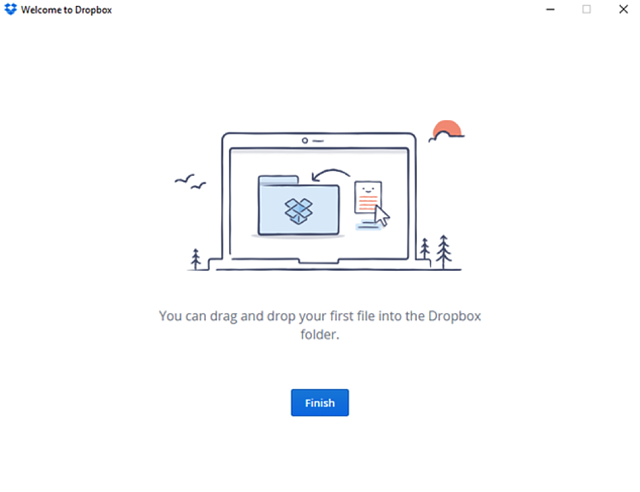 moment was the point when a user uploaded their first file to a Dropbox folder. Handily, this happens to be the primary function of the app, so it’s a simple matter of getting the user to that point as quickly as possible - as soon as you’ve signed up you’re encouraged to download the app. Once downloaded, a folder is automatically set up and the user is told to drag and drop any file they desire into it to back it up. By knowing the point at which users clocked onto how valuable their product was, Facebook and Dropbox learned exactly what their onboarding process should be based around. Rather than try to explain the details of everything from Facebook ads to buying more space, they hook their audience and keep user onboarding brief by focusing on only the core features of the product. These core features are in turn framed to link back to progressing the user to their Aha! Moment, teaching the user how to use the app whilst getting them hooked. It’s app virality 101; value, value, value. Your trailer’s short, shows the value of the film, but the audience has no way of knowing that the product is going to be good when they experience it in full. There’s no guarantee, and that uncertainty will turn a chunk of them away. What do you do to solve this? You give social proof of how good the product is or will be. Burn After Reading sells itself on being a spy comedy (albeit with a dark sense of humor) and tells you it’ll be good because of the names behind it. The entire screen is taken up by announcements that the Academy Award Winning Coen Brothers are behind this flick, which has big actors like John Malkovich and Brad Pitt to entertain. Oh, and just in case you forgot who the Coen Brothers were, they also made No Country For Old Men. The theory here is to carry your affection and expectation for high quality that’s associated with these names over to the product, all before you’ve had a chance to view the full thing. You can almost sell a film entirely on social proof rather than anything else. Social apps employ a similar tactic - take Twitter’s user onboarding flow, for example. Before you even click the “Sign Up” button, you’re already being onboarded with both the value of the app and social proof to back it up. The home page is full of new tweets from popular accounts, allowing a user to see the wide array of celebrities they can get the inside scoop on. After all, how else would we know that Olly Murs is also a magician? Seeing that, we go through a couple of steps to enter our details and verify our account, and within two minutes we’re into the meat of the product. We’ve even got a little more social proof to keep us going. After all, how else would we know that Olly Murs loves dogs? Once you’re inside the app you’re also encouraged to follow popular accounts to join in on the fun. Based on the topics you pick, you’re given a tailored list of celebrities and high profile figures / brands which are relevant to your interests. This both serves to encourage users that the product will be worthwhile, and is tied into getting the audience to their Aha! moment to boot; Twitter’s happens to be the point where you manually select and follow 5-10 other users. 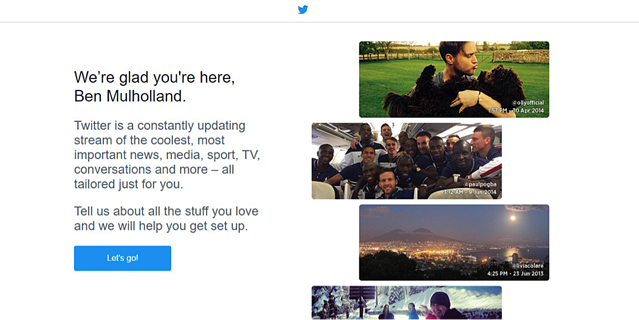 In other words, whilst Twitter’s user onboarding process isn’t the best in terms of keeping things brief, it’s a killer example of tying social proof into both promising and presenting value to their audience. Whilst these lessons may seem pretty simple, they’re incredibly easy to get wrong or lose sight of; you only have to look at the incredible number of forgettable trailers to see this. So, next time you go to the cinema, or turn on the TV to see an ad for the next big release, take the chance to sit down and think about what they’re showing and why they’re showing it - you may even get a few onboarding ideas of your own to work with!